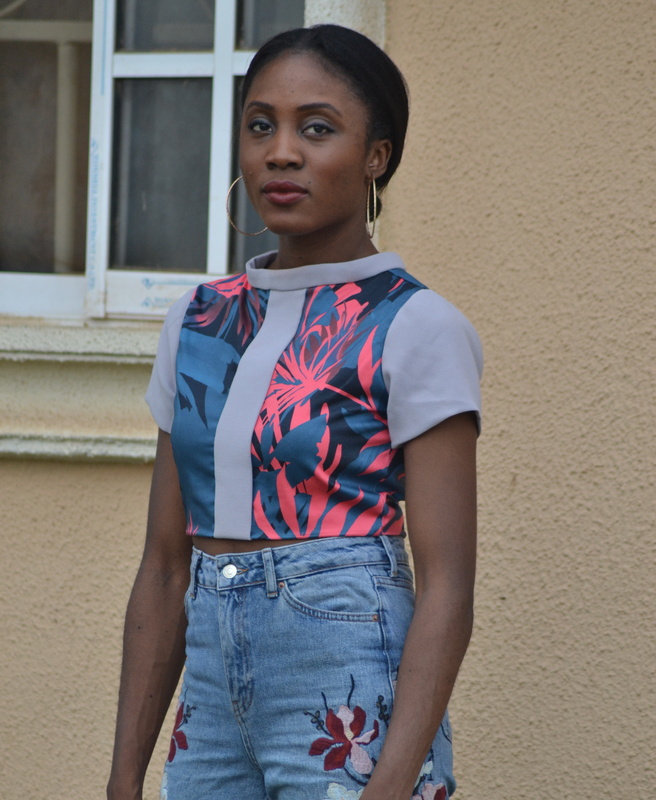 Bella Crop top by KV. Details: Print fabric in bright pink and dusty blue. Sleeves and seam details in grey. Long zipper positioned in back centre.